Many of Carpenter’s Shelter’s residents and David’s Place members do not have or receive health care benefits. 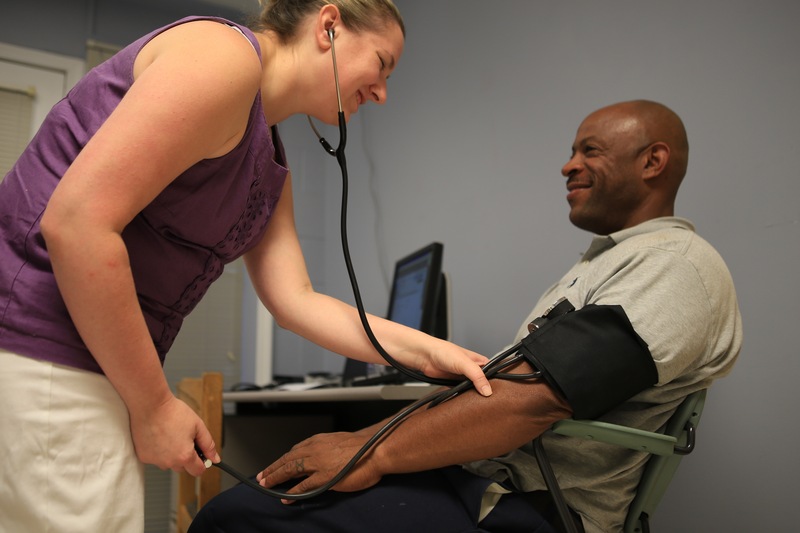 Under the volunteer leadership of Dr. Laurence Clark, Carpenter’s Clinic is able to provide quality medical care to uninsured clients and homeless community members. Weekly, a team of doctors and nurses provide free medical exams and prescriptions to our clients.